Sign up for free subscription. 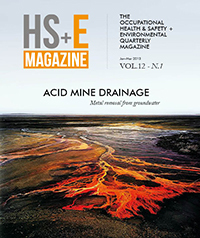 Register now to receive our free-of-charge quarterly HS+E Magazine and the complimentary monthly TECHNO News-on-line on your PC or mobile. The magazine format is compatible with all electronic devices. Please fill out the form below to receive your quarterly copy. You may also forward it to others so that they too can receive their free subscription.